Can’t sleep? A better night’s sleep could lie within the seams of a new mattress! A good night’s sleep is one of the crucial components of life and it’s one of those things that seems near impossible to accomplish sometimes. Are you finally tired of tossing and turning all night and you’ve tried every “sleep solution” that there is? What if the solution to a great night’s sleep was as simple as heading to Best Mattress and asking to try a Perfect Sleeper in Las Vegas, or any one of our other locations in Mesquite or St. George. We are committed to making quality sleep a nightly reality for you! The family-owned Best Mattress has been serving clientele across Las Vegas, Mesquite, and St. George since its beginning, in 1944. Though we started small, we’ve grown to 22 convenient locations spread across St. George, Las Vegas, and Mesquite. We’re proud knowing that our convenient locations are easy enough for anyone to come into a store to test the Perfect Sleeper Kirkville Plush Pillowtop, or any other great mattresses! At Best Mattress, we pride ourselves in making sure we give our clients the best customer service possible–before and after the sale has been made. Our dedication to customer service is what drove us to offer our customers a three-hour mattress delivery service when purchasing a Perfect Sleeper in our Las Vegas, Nevada location. All you need to do is pick the date of delivery, and we will schedule out a three-hour window, on the day of your choosing to make the mattress delivery happen. You can go to bed on your new mattress that very night! We recognize that your time is important, and we are committed to making even the mattress delivery go as stress-free and smooth as possible. We get that it can be difficult to tell right away if a new mattress is working for you and your sleeping habits, so we offer our customers a 120 Day Sleep Guarantee. If you don’t love your new from us mattress after 120 nights of sleep, we will do whatever we can to make it right for you. Here at Best Mattress, we are committed to making sure you get all of the quality sleep that you deserve. When buying a mattress from Best Mattress you can rest assured knowing that you are getting a mattress from one of the absolute best around. It can be difficult to remember when exactly you purchased your last mattress, but it’s important to! Just like everything else, mattresses has an expiration date. Take a look at the tag on your mattress for the date stamp (usually on the label or along the seam of your mattress) if your mattress is older than 7 years, it’s probably about time for a new one. Especially if you have a tendency to sleep poorly. An old mattress is not only bad for your back and joints, but it can actually harbor allergens and other grimy gunk. Even if you keep your mattress protected by a mattress cover, it is still a good idea to regularly invest in a new mattress. If you feel like you could be sleeping better every night, check your mattress tag to see how old yours is. If it’s time for a new one, or even if it’s not, head to Best Mattress, we’d love to help you sleep better. Why the Perfect Sleeper Kirkville Plush Pillowtop? Quilt Layer: The quilt layer is made up of FireBlocker fiber, Pillow Fill, and PillowSoft Aire materials for a safe (and sound!) night of comfortable sleep. Upholstery Layer: 0.5″ of Twisted Gel Memory Foam, 1’’ of Serta Balanced Foam, and 1’’ of Serta PillowSoft Foam are what complete the super soft, yet super supportive upholstery layer of the Perfect Sleeper Kirkville Plush Pillowtop. Support System: The support system keeps your body supported all night long with the new 739 Custom Support individual coil innersprings. Imagine not having to deal with painful pressure points ever again, and the 739 Custom Support technology makes that possible for sleepers everywhere. As an added bonus, the Perfect Sleeper Kirkville Plush Pillowtop is completely adjustable and the mattress works well paired with the Serta Motion Essentials Platform. With Serta’s Perfect Sleeper Kirkville Plush Pillowtop and the Serta Motion Essentials Platform, you should see better sleep in only a few months of time. Who is the Perfect Sleeper Kirkville Plush Pillowtop Good For? Problems sleeping too hot or too cold. 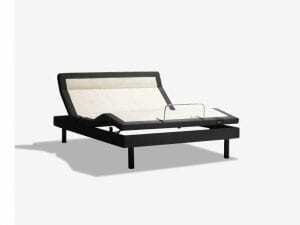 Unsupportive mattress problems like mattress sagging or drooping. Sleepers suffering from any of the sleep problems listed above should see relief of their symptoms within 120 nights, after your body becomes accustomed to the new mattress. Come back to one of our locations if it doesn’t! 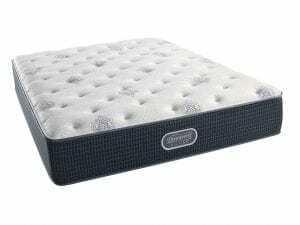 Are you ready to test out the Serta Perfect Sleeper Kirkville Plush Pillowtop? Head to one of our locations in St. George, Mesquite, or Las Vegas to try the Perfect Sleeper out for yourself. Once you try the supportive memory foam mattress out for yourself, you’ll find it difficult to go back to your old mattress at home. And if not, there is another mattress somewhere on our floor that will feel great for you. Click this link to find the closest Best Mattress location to you! We are committed to your satisfaction–even after the sale has been made.